PAYETTE — Harmon Killebrew grew up in Payette, Idaho then went on to have a Hall of Fame baseball career that included 573 homeruns which at the time of his retirement was the fourth most in Major League Baseball history. 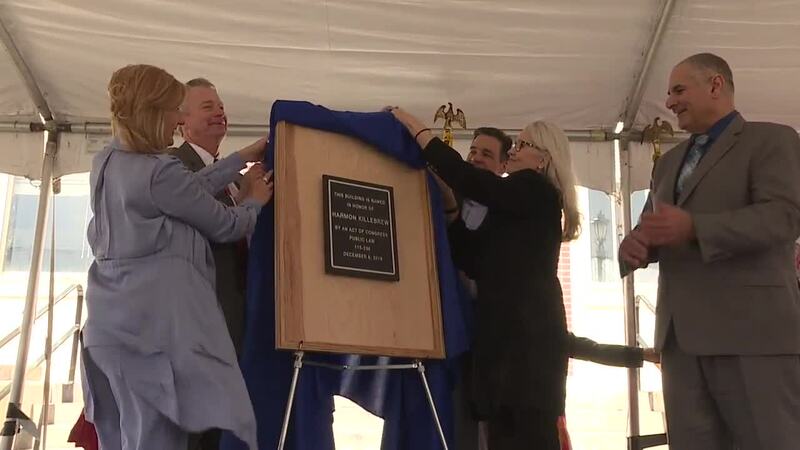 Payette honored the late Harmon Killebrew by naming the historic post office after the legendary baseball player, doing so took an act of Congress that was made possible by former congressmen Raul Labrador. Governor Brad Little, the Killebrew Family and representatives from the Minnesota Twins and Major League Baseball all showed up for the celebration. "If there is a Mount Rushmore of sport in Minnesota Harmon Killebrew would be the first guy on it," said Dave St. Peter the Minnesota Twins President & CEO. The speakers also spoke about Killebrew's philanthropy work, how he helped children with cancer and helped bring the Harmon Killebrew Miracle League Field to Payette, a field that helps special needs children play baseball and its the only field of its kind in Idaho. "His passion in his later years was helping people," said Cameron Killebrown, Harmon's eldest son. "If you know anything about my dad you know he loved three things baseball, ice cream and kids." Killebrew had an amazing career he was named an all-star eleven times and won the AL MVP in 1969 as a member of the Minnesota Twins.